Why do you need to train your dog? to reinforce behaviours that you want and discourage those you do not want. to ensure your dog is a good canine citizen. There are certain behaviors that may not be natural to dogs, but are essential if they are to live as canine companions with humans. Most owners want a dog that doesn’t beg at the table, bite the kids during play sessions or jump up on people. They also want a dog that stands still so he can be examined by the veterinarian, walks on a leash without pulling; allows his feet, ears, and teeth to be handled; and comes when he’s called. Most importantly, they want a dog that is acceptable in the community, one that does not pose a danger to humans, other dogs, cats or wildlife. In short, all dogs need some training to be good canine members of a family and community. What do you need to train a dog successfully? Patience, a basic understanding of dog behavior and the principles of training, and appropriate ‘gear’ such as collars and leashes. You may be able to train your dog successfully on your own if you’ve had experience before or if you consult some of the excellent books available. However, most people find obedience classes helpful because they provide an opportunity to learn from an experienced, knowledgeable instructor. These classes also offer an opportunity to train in a safe place with lots of distractions from other class members. Once a behaviour has been learned, variable rewards will strengthen the behavior. When you come home, your dog jumps up, mauls you and generally acts like a total hooligan. You respond either with exuberant greeting and petting or yelling at the dog – depending on what sort of day you’ve had. Either way you’ve rewarded the dog with attention and the behaviour is likely to continue. You return home to the usual response, but this time you ignore the dog for 10 minutes until the dog relaxes and settles down – then you pay attention. If you continue to ignore the undesirable behaviours, you should eventually be able to take off your coat, change into jeans and put the kettle on before you go over and greet your calm, polite dog. You encourage your dog to jump up on you when wearing your old clothes, but yell if it jumps up when you’re dressed for the office. By sometimes reinforcing the jumping and sometimes not, you have actually made it more likely that the jumping up will continue in all circumstances. Most people understand these basic principles, but may not realize how they apply in their daily interactions with their dog. Owners often inadvertently “train” their dogs to perform undesirable behaviours and then blame the dog for being ‘difficult” or “stupid.” A good trainer can help you understand how you may be contributing to your dog’s unwanted behaviours and show you simple techniques to change them. Even though the basic principles of learning remain the same, trends in dog training come and go. Most trainers these days boast of using positive training techniques, but some still use physical force in the training process. Even those who use only positive techniques may have very different approaches – some may insist on a particular type of collar or equipment, some may use food rewards while others insist that food rewards will ruin a dog. Make sure you are comfortable with what you see. Make sure the trainer provides individual attention and adapts the exercises to suit the breed and personality of the dog. Be wary of a trainer who insists that their way is the only way, e.g. I only allow “gentle leaders” or I don’t allow food rewards in my classes. Avoid trainers who use physical force routinely, particularly hitting, but also techniques such as shaking by the scruff or the “alpha-dog rollover”. We often get asked for recommendations for dog trainers and while we have contacts with lots of great trainers in this area, we don’t want to overlook anyone in the process. So here are some suggestions for selecting a good dog trainer. These have been adapted from the guidelines published by the American Humane Association. Look for trainers who rely on teaching methods that use positive reinforcement for good behaviour rather than punishment for unacceptable behaviour. 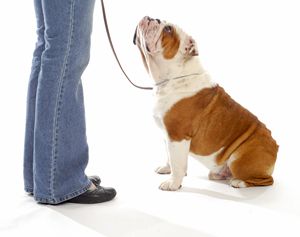 Observe an obedience class without your dog. Are the dogs and people having a good time? Talk with a few participants and see if they are comfortable with the trainer’s methods. If someone won’t let you sit in, don’t enroll. Don’t allow trainers to work your dog unless they tell you first exactly what they plan to do. Don’t be afraid to tell a trainer to stop if he or she is doing something to your dog that you don’t like. If a trainer tells you do something that you don’t feel good about, don’t do it! Do not be intimidated, bullied or shamed into doing something that you believe is not in your dog’s best interest. Avoid trainers who offer guarantees about results. These trainers are either ignoring or don’t understand the complexity of animal behaviour. Avoid trainers who object to using food as a training reward. Food is a beneficial and acceptable positive reinforcement training tool. Avoid trainers who won’t let you use any training collar other than a choke chain or pinch collar. Head collars are humane alternatives to choke and pinch collars. Look for trainers who treat both people and dogs with respect, rather than an “I’m the boss” attitude. 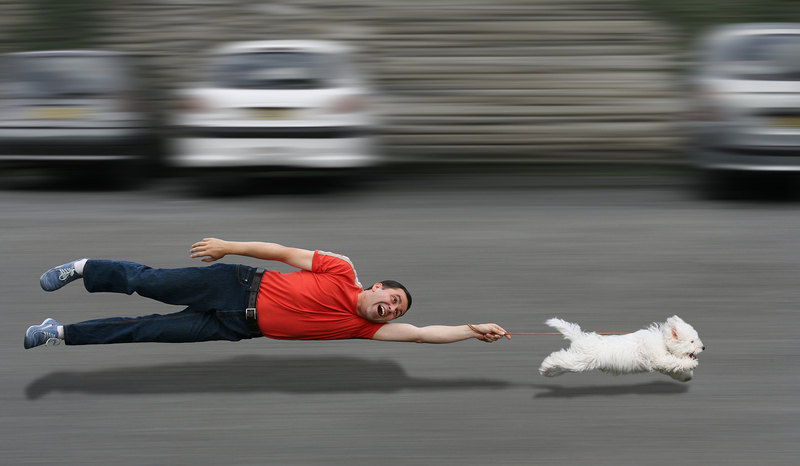 And last, but certainly not least, have fun while training your dog! Although we don’t make recommendations, we would like to thank the following instructors who regularly donate their time in support of Citizen Canine’s CGN Fun Tests by sharing their expert insights on training and dog behaviour as volunteer evaluators. Interested in becoming a trainer, or to learn more about their credentials? Campbell, William E. 1995. Owner’s Guide to Better Behavior in Dogs. 2d ed. Loveland, Col: Alpine Blue Ribbon Books. Dunbar, Ian. 1998. How to Teach a New Dog Old Tricks. Berkley, Calif; James and Kenneth Publishers. Wright, John C and Judi Wright Lashnits. 1999. The Dog Who Would be King. Emmaus, Penn: Rodale Press.